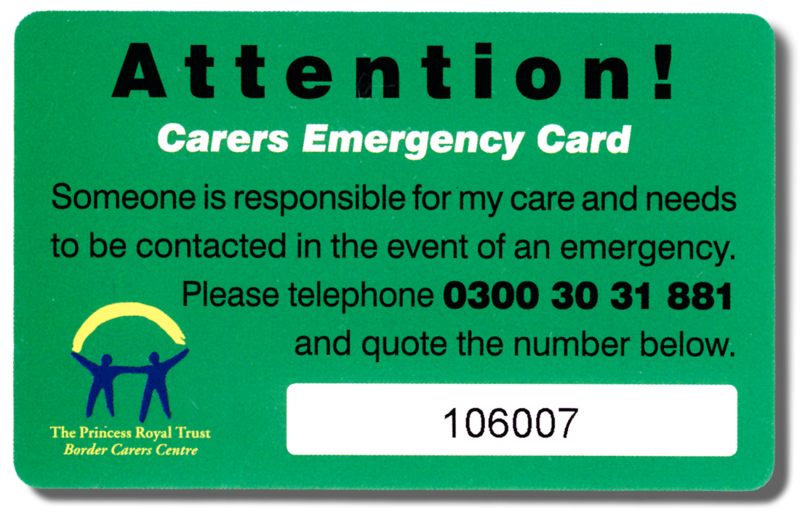 You will be issued with 2 emergency cards (one for you and one for the cared for) Please keep these in your wallets, then, if the worst were to happen, the telephone number on the card will be called, and your emergency plan will fall in to place immediately. As with all our services, there is no charge. Example: The carer is out collecting a prescription and becomes involved in a car accident... This card is found on them by the emergency services. Example: The cared-for becomes disorientated and wanders off.... This card is found on them. Please download the form below to register for the card. 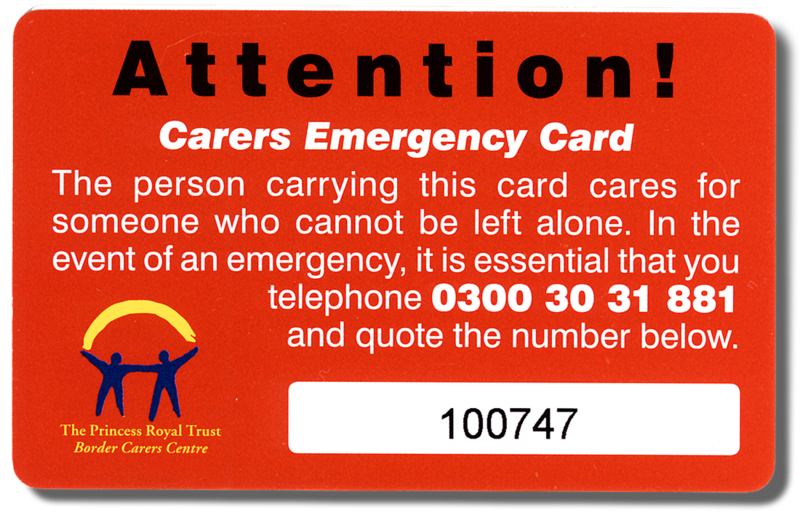 You need to be registered with the Carers Centre to access the Emergency Card service. In the event that the Emergency Card is activated, we will also contact you to follow up. "What happens to them if something happens to me..?"